Grantley Medical Practice is in Shawlands at 1, Grantley Street, G41 3PT. We have a small branch surgery at 229, Clarkston Road which is open four mornings each week. The practice covers the area of Glasgow which includes the postcodes G41 (excluding G41 0), G42, G43, G44, G46 and G76. The map (click here for map) shows a much more compact area within which we hope most of our patients will reside. 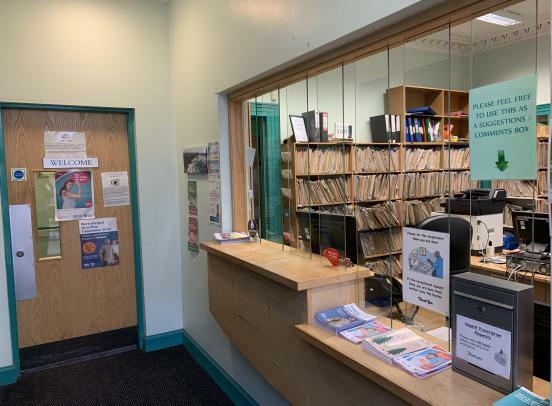 This makes it much easier for patients to access the practice and reduce travelling times and helps us provide more integrated ancillary services, such as district nursing and health visiting. We are a training practice and usually have one or two doctors working in the surgery who are training to become General Practitioners. They are fully qualified doctors who work with us for up to a year at a time. We also have medical students from Glasgow University from time to time. We very much appeciate the time and help that our patients give to help our students and doctors learn about general practice. Do you want to see a doctor? How to join the practice? In order to register with the practice please complete the necessary form available to download here or collect from reception. You will be asked to provide 1 form of photographic ID and proof of address. Completed applications take 24 hours to process. Access to practice services can be made after this time. Between 1pm and 5pm the practice will be closed for in house training. There is a recorded message giving a number to call in case of urgent advice. We apologise for any inconvenience this may cause but the doctors and staff need time to keep up to date and offer you the best service possible. In November 2017, Grantley Medical Practice was presented with a good practice award in recognition of Excellence in Education and Training from NHS Education for Scotland. Patient Access. The surgery is offering online services for ordering repeat medications and booking some routine GP appointments.. This form can be used for non urgent administrative queries.